Summary: Jews are vulnerable members of society. They are not on the fringe on the one hand, nor are they just a regular part of the broader community, on the other. As such, they must be actively protected by governments and citizens alike. Well-meaning people have referred to Jews as the “canary in the mine” when it comes to terrorism. They argue that various attacks on Jews in Europe, Israel and Asia by Islamic radicals over the past years should be seen in the context of an oncoming onslaught on the broader civilized world. Canaries are treated as disposal life forms that coal miners bring into mines to detect poisonous gases. They assume that if the canary is alive, the air is breathable; however, should the canary die, they should evacuate immediately. The sole role of the canary is to detect danger and benefit the people in the mine. Jews were not brought to Europe or Asia to serve as warning signs for non-Jews. They are not inferior life forms meant to live solely for the benefit of the broader society. They are proud citizens of their home countries. 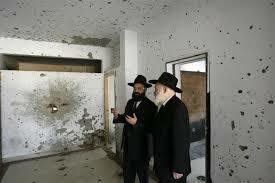 Jews are integrated into society in each country where the live. They have homes in the hearts of the country; they have jobs at corporations, in the government and military. They speak the language and have employment rates that are comparable to their fellow countrymen. Jews are not a fringe group that fails to assimilate, that doesn’t speak the language or has high unemployment. They are not financial drains on society and do not have incarceration rates above the community averages. Jews are a fabric of society. They are “everymen,” with particular beliefs and customs. While Jews are a basic part of the fabric of society, they are uniquely targeted by Islamic radicals. Terrorist attackers who assaulted major cities including Mumbai (2008), Paris (2015) and Copenhagen (2015), took time to specifically attack this small minority. 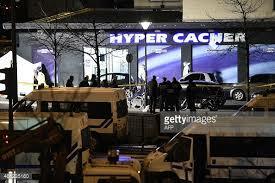 While US President Obama and his administration initially called the attack on a kosher supermarket in Paris a “random” attack, he back-tracked to corroborate the statement of the French government which clearly stated that the attack stemmed from antisemitism. 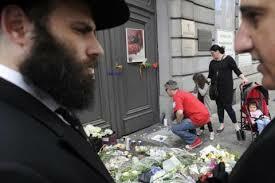 Even while embedded in society, Jews are picked out for attack for the simple reason that they are Jewish. There was a movie made in 1988 about a woman, Dian Fossey, who fought to protect gorillas in Uganda. These special creatures were a unique part of the Ugandan landscape that were singled out for slaughter. Dian fought both the government and locals to protect those “Gorillas in the Mist”. It was a brave action on the part of an individual to take on so many to save the group from butchery. It is the obligation of governments to protect their citizens. 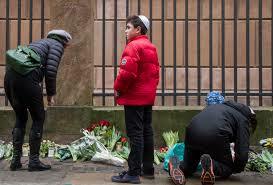 The leaders in Germany and France have correctly stated that they will take action to ensure that their Jewish communities are safe. It is time for all governments and citizens to speak loudly and act defiantly in protecting their vulnerable neighbors and countrymen, the Jews in their midst. The list of European actions against the Jewish State over the past year was long, and to an absurd level when compared to EU actions and comments towards murderous regimes such as Iran and Syria. 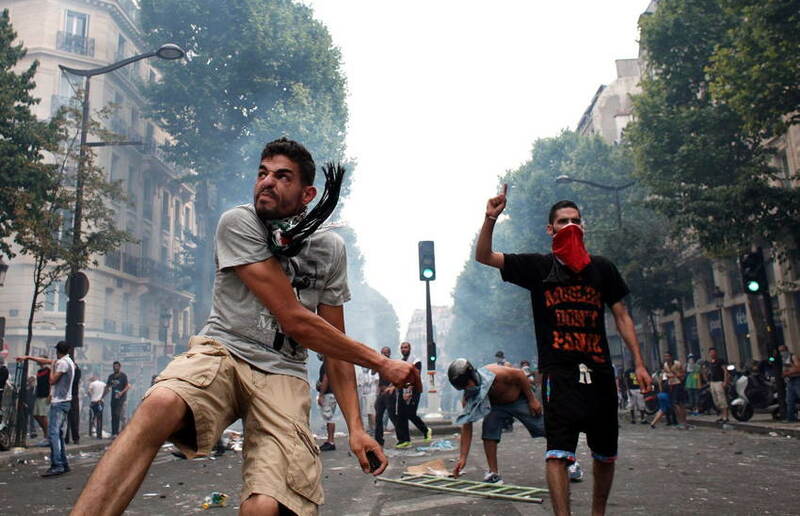 The people in the streets noted, and held anti-Israel rallies which became anti-Semitic riots. It was against that backdrop of both murders by homegrown terrorists and the anti-Israel actions of the governments that made Israeli Prime Minister Benjamin Netanyahu invite the Jews of Europe to come to Israel. The governments of Europe must declare their strong commitment to a safe and secure Israel. Such actions should include declaring Hamas a terrorist organization and not recognizing a Palestinian state until it prohibits the promotion of antisemitism and Holocaust denial. The governments should not pass any BDS (boycott, divestment, sanction) actions against Israel any more than they do for other disputed territories such as Kashmir and Cyprus. The leaders of several European countries acknowledge that there is a problem of anti-Semitism spreading in the continent. They must be aggressive in confronting it in every manner possible. This entry was posted in Islam, Jews and tagged antisemitism, Copenhagen, France, Germany, Israel, Mumbai, Paris, terrorism by First.One.Through. Bookmark the permalink.